Lynn founded Spring Forward Physical Therapy, PC to create an alternative to the factory PT setting. Providing boutique one-on-one care, he strives to have his practice set the bar while offering unparalleled care, attention and improvements to patients both young and old. 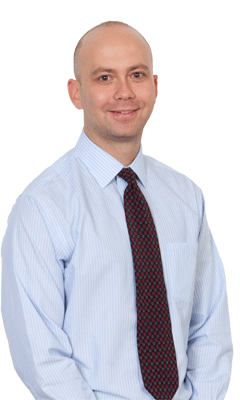 Since joining the work force, Lynn has advanced his manual and clinical skills working in Midtown Manhattan. His experience includes working within inpatient care, helping patients post-CVA (stroke) and rehabilitating traumatic brain injury patients. However, his true passion has been working within Sports Outpatient Orthopedic physical therapy. Whether it involves helping runners achieve their personal best race time or it’s helping retired patients regain a former function, Lynn finds there to be no greater honor than helping patients meet their goals. Always aspiring to advance his skillset, Lynn often participates in Continuing Education courses to learn the latest and most effective techniques and theories. While Lynn enjoys treating all different injuries of the body, his passion is with back and neck disorders, rotator cuff injuries, knee and ankle injuries and TMJ. Lynn Berman graduated from Boston College with a Bachelors of Arts in Communications and Economics. He then continued his education at Touro College and was awarded a Doctorate in Physical Therapy along with a Bachelor of Science in Health Science. Lynn remains an active member of the America Physical Therapy Association. Lynn is also an avid runner through the New York Road Runners and has run marathons. Lynn enjoys racing sailboats on Long Island, playing tennis in Central Park and is a member of the Mt. Sinai Ice Hockey Team. Lynn was featured in an interview on NBC about physical therapy during the 2010 New York City Marathon.